Charles’ Fort is one of the most popular attractions in Kinsale. The fort is star-shaped and retains much of its original construction from 1678. It’s open year round and offers exhibits and guided tours. Across the mouth of the harbor is James’ Fort, built in the early 1600s. Together these forts protected the entrance to the harbor. Explore the harbor by foot on the Scilly Walk, a walk along the waterfront that offers beautiful panoramic views of both forts. Or tour the harbor and beyond by boat, many charters are offered. By boat, you can also view the Old Head of Kinsale, five miles from the town centre, where a 17th century lighthouse is located with the ocean on either side. You can also drive there, stopping at Garristown Beach on the way, to walk several miles of pristine beach. Another popular attraction in Kinsale is Desmond Castle and the International Museum of Wine. Desmond Castle was built in the 1500s and throughout the years has been used a Customs house, prison, and workhouse. It now houses the International Museum of Wine, which provides history of Ireland’s role in the wine trade throughout Europe and the world. Don’t forget St. Multose Church, one of Ireland’s oldest churches. Built in 1190, it is still in use today. Stay in one of the many B&B’s or hotels, eat and drink in the many restaurants and pubs, and shop in the variety of shops and galleries. 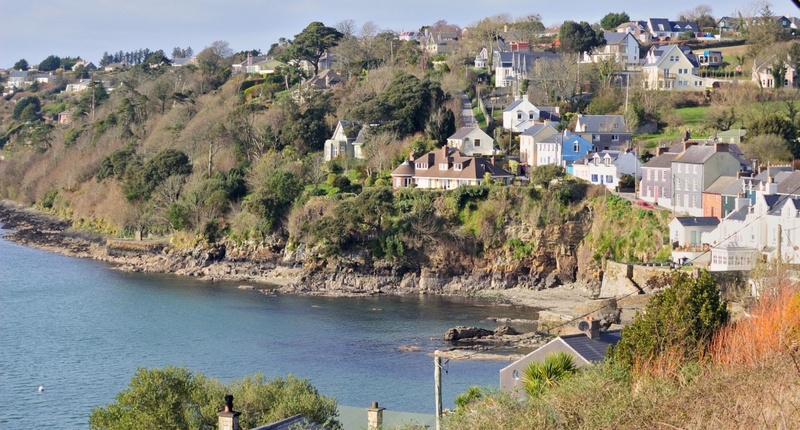 Tour Kinsale by foot, car, and boat and find out for yourself why Irish and foreign tourists alike flock to Kinsale every year. Find information about selected Hotels, apartments and rooms in Kinsale to choose the perfect place for your accommodation.